New Website, link in above! Author FreeBirdJourneysPosted on October 19, 2018 Categories Card of the DayTags awareness, colorado, guilt, love, relationships, tarot card readerLeave a comment on Wake Up! Wish I may, wish I might have the wish, I wish tonight! This card is your indication of great joy and happiness, dreams coming true and getting what you wish for! It’s like winning the lottery, losing that last 10 pounds, and meeting Mister or Miss Right on the same day! Be sure to Visualize your dreams coming true! Tricia of FreeBirdJourneys.com ✔ Website under construction! DM for more info on buying a reading! 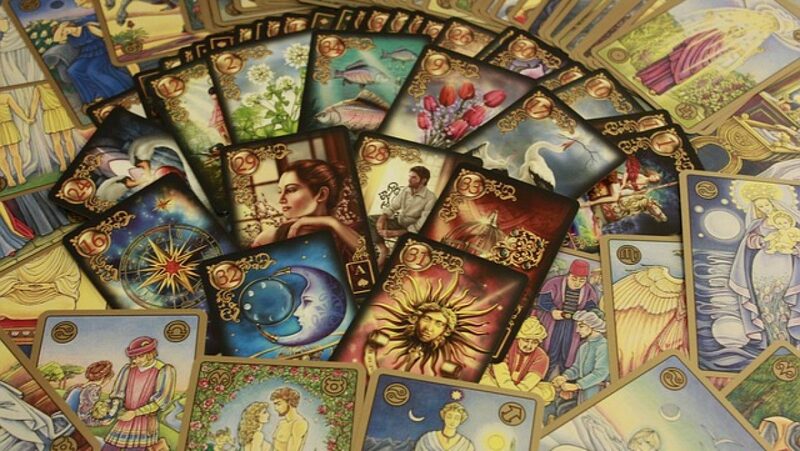 Author FreeBirdJourneysPosted on September 27, 2018 Categories Card of the DayTags colorado, desires, dreams, goals, healing, health, joy, love, relationship goals, tarot card readerLeave a comment on Wish Away! What a beautiful card to get after our Eclipse yesterday! You are waking up from a deep Slumber and may feel a little foggy at first, things may be a little difficult as you awaken but know that you are moving towards the light! Get outside, move, exercise, feel your soul within you, feel your joy, your heart, your Spirit … and enjoy your Awakening! Sometimes some people do not understand boundaries! These are something that everybody should have! This is also an act of self-love! When you’ve been around someone and end up feeling drained or uneasy it’s because there are no healthy boundaries present in that relationship. If you don’t have boundaries it’s time to make some! It’s best not to involve yourself in other people business today, or ..ever.. especially when it does not involve You! Also don’t over-share information about yourself – this isn’t what it means to be close in a relationship! This is unnecessary suffering. When in a relationship .. being needy or clingy, or lacking courage brings you out of balance. Establish boundaries today for yourself, for others. Be patient with yourself – habits can be hard to break, but you can do this! Author FreeBirdJourneysPosted on August 11, 2018 Categories Card of the Day, Oracle CardsTags balance, boundaries, colorado, communication, love, relationship goals, self-awareness, self-care, tarot card reader1 Comment on Boundaries! Today tap into your magic! You are very enchanting, skillful in business and make a great teacher. You are quick to learn and adapt to new situations and this fox energy will help you stay true to those most dear to you. Foxes mate for life and are very family oriented. You’re ready to commit to relationships for the long term and your natural Charisma will keep things exciting! Reconnect to those that you love today. This is the card indicating new love, and if you’re already in a relationship – you will be entering a new and happy phase today! This Ace can represent the regrowth of trust or valuing yourself as you are, a new beginning for yourself! For those that are single: be open to a new love or one-on-one relationship of any kind, as previously unfelt emotions come into play now – perhaps as a result of seeing the relationship in a new way. This Ace can also indicate a birth: this could be of a child, a new pregnancy or a new creatice idea!